I love their little bird feeder!! Unable to get cam in Chrome or IE. Flash update didn't help either. I can get the cam now. They said sound in future. 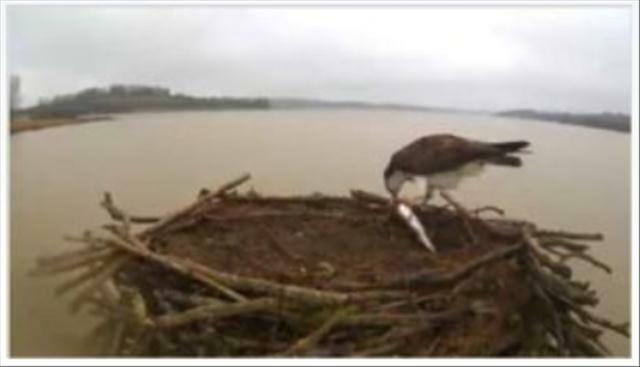 There's an osprey on the nest @ Lowes, but no word from the blog! It's been there for a little over 3 hours per the DVR. It has a necklace!! 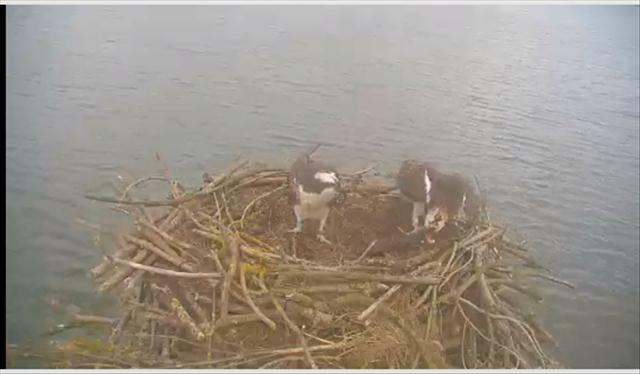 It looks to me, Lassie beat Laddie home this year!! 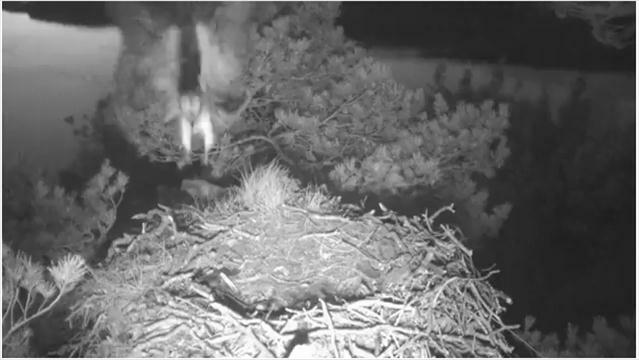 Already, she is rearranging her nest materials! 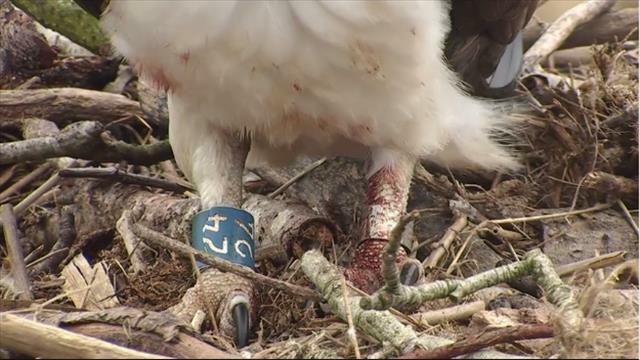 Necklace, fluffy head feathers, "Y" head marking, not as chocolate brown, long wing-tips, and plain old, gut-feeling when I saw her!! 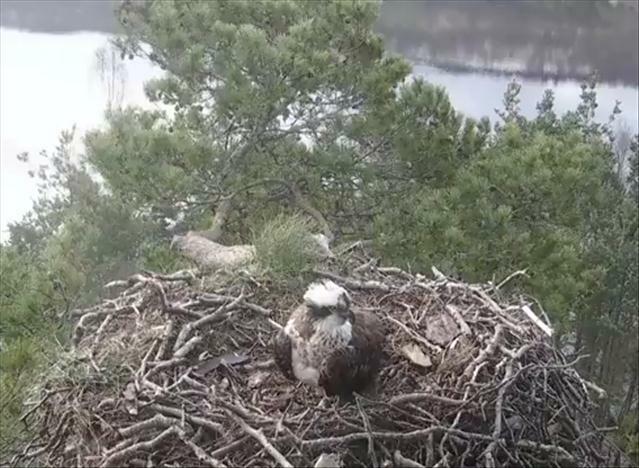 Welcome home, Lassie! 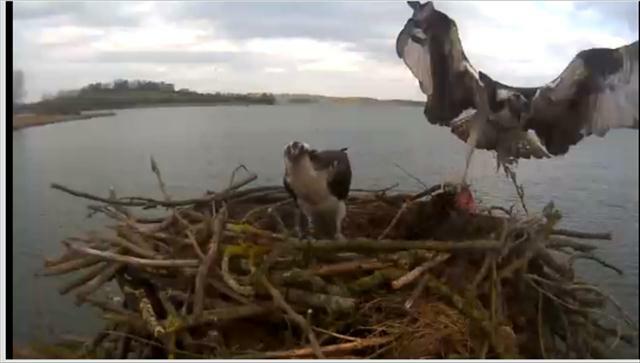 It would be great if Laddie returns today!! 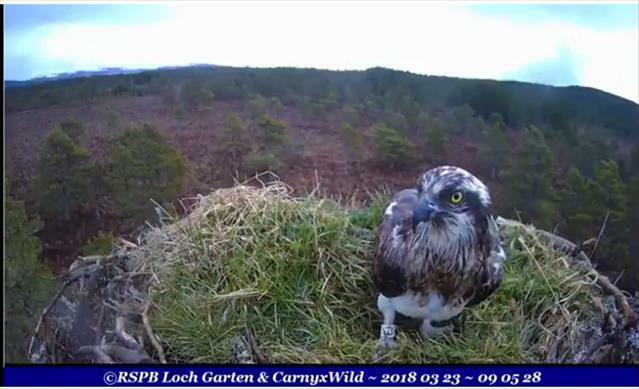 I bet she fusses when she sees him as she has looked all around herself from the nest to find him and called frequently to him. Thanks for the updates SWINWK! 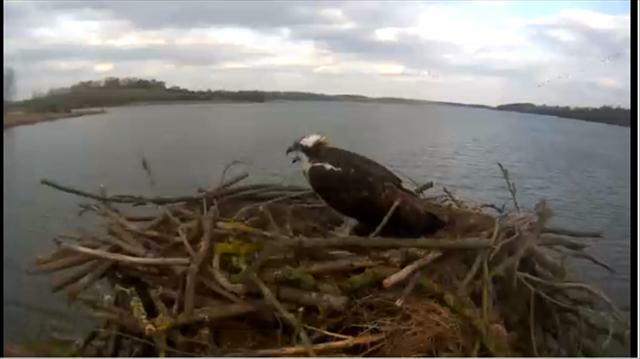 Today has been an extremely exciting day for the Rutland Osprey Project! 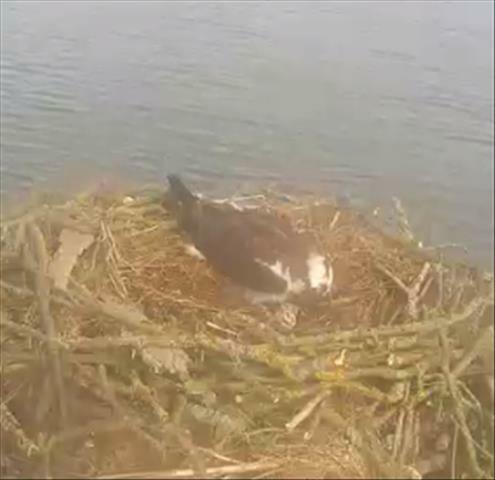 The first osprey was seen in Rutland, and to add to the excitement the first bird back was identified as Maya the Manton Bay osprey, this meant that her return was broadcast live for all to see via webcam. 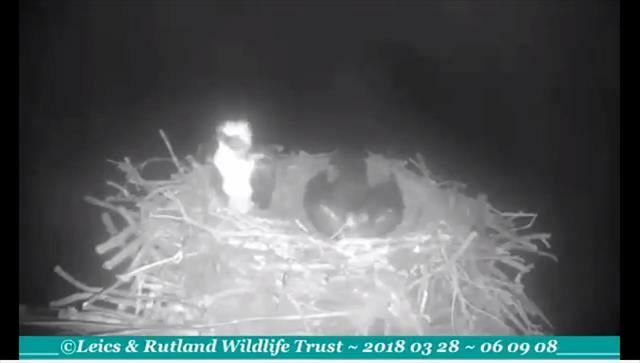 This is the earliest we have ever had a bird back in Rutland, as the birds usually return around the 17th March. 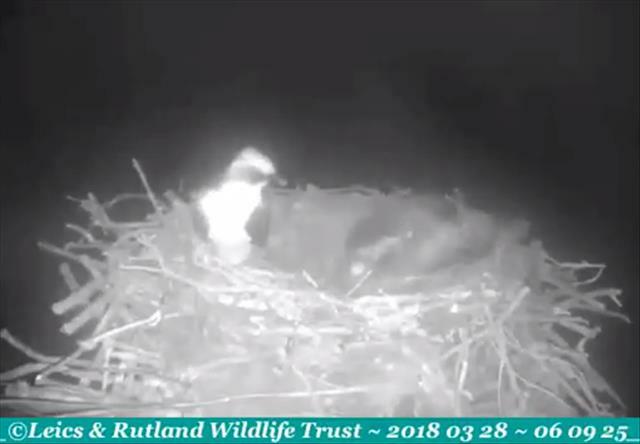 We are not sure what has caused this early return, but it will be very interesting to see when the other ospreys make their way back to Rutland. 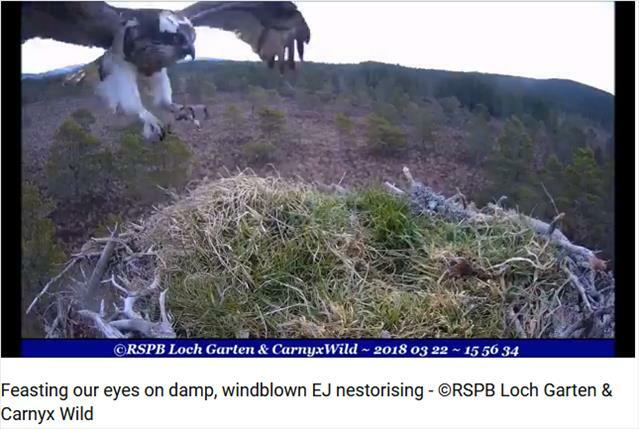 Lassie on the nest. 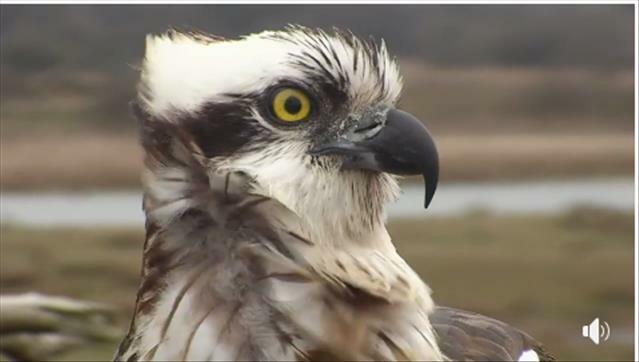 I feel sorry for her, she has that head turning and surveying the land/skies almost constantly!! 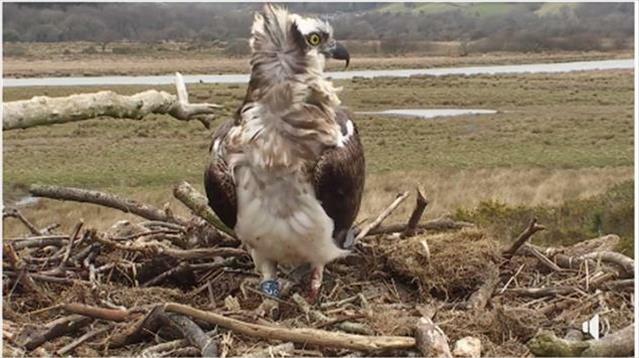 Dyfi, Wales - Blue 24 has returned. 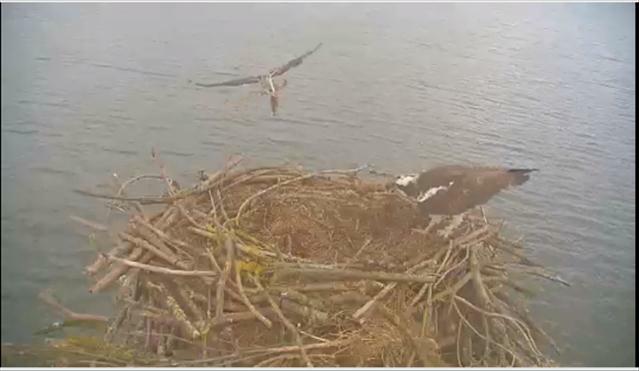 She has set a new record for earliest appearance at the Dyfi nest. Ferenz...it is so good to see you!!! 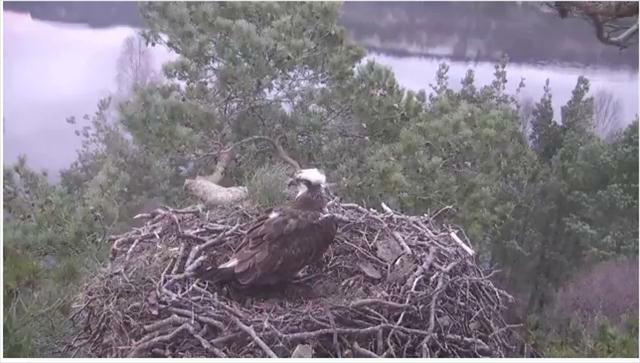 Lassie is on the nest watching for Laddie's return! 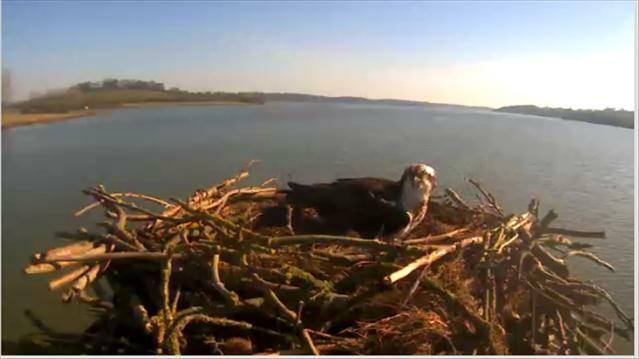 Laddie's latest arrival date to Lowes is the 30th. 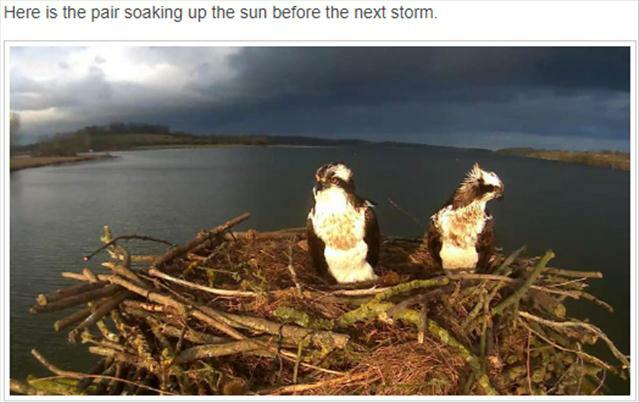 Saw this suggestion on his pending arrival: a lot of birds were held up at the Gibraltar migration point due to unfavourable winds. Laddie could easily be one of them.